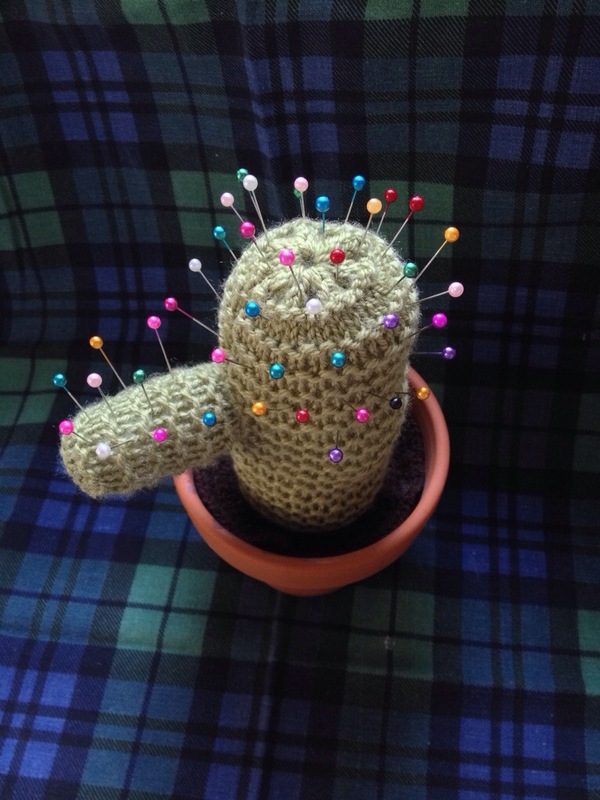 Inspired by a cactus pin cushion I spied in a craft shop in the Summer I decided to have a try at making my own version after my table got a bit scratched by my new pins the other week. They’re too long for my pin cushion which I reckon would be termed ‘vintage’ now as the material dates from the 1970s. I’m wondering if these are really millinery pins? I glued a circle of felt to the bottom of the flowerpot so it wouldn’t scratch the table. 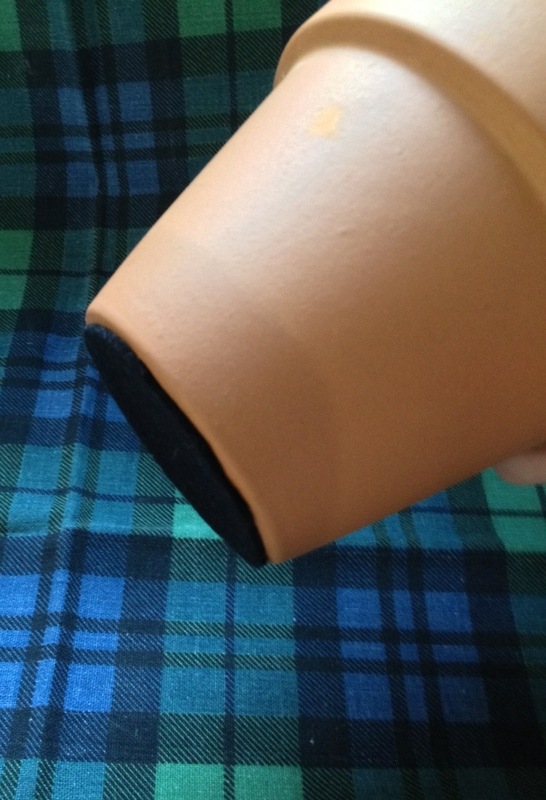 I bought a new terracotta pot although you’d never know with all the glue marks I’ve left. At least I didn’t superglue my fingers together, though I did ruin the trousers I was wearing due to glue blobbage as it set firm in a plastic disc. Oops. There’s a lump of polystyrene at the bottom of the flowerpot, then some toy stuffing so the cactus sits at the right height. Next time I might try using rice or similar just because of the huge mess the polystyrene made (see photo on my Facebook page…) when I tried to saw a chunk from a piece I’ve been hoarding. I used Stylecraft Special DK Meadow Green, with 4 mm needles. Repeat these 3 rows until you have a nice tube – check this by keeping the knitting on your needle and folding the rectangle in half until it’s the diameter you’re happy with. Don’t cast off, just cut the thread leaving a length to thread a needle and gather up all 30 stitches tightly, fasten off securely and darn in the ends. That’s the top of your cactus. Repeat the 3 row pattern, as for the body, until you’re happy with the tube you’ve made. As above, gather up the stitches and secure. FR: Chain 6, slip stitch into a circle. Continue rows in the same way increasing into every fourth, then fifth, sixth stitch etc until the circle fits nicely into your pot. 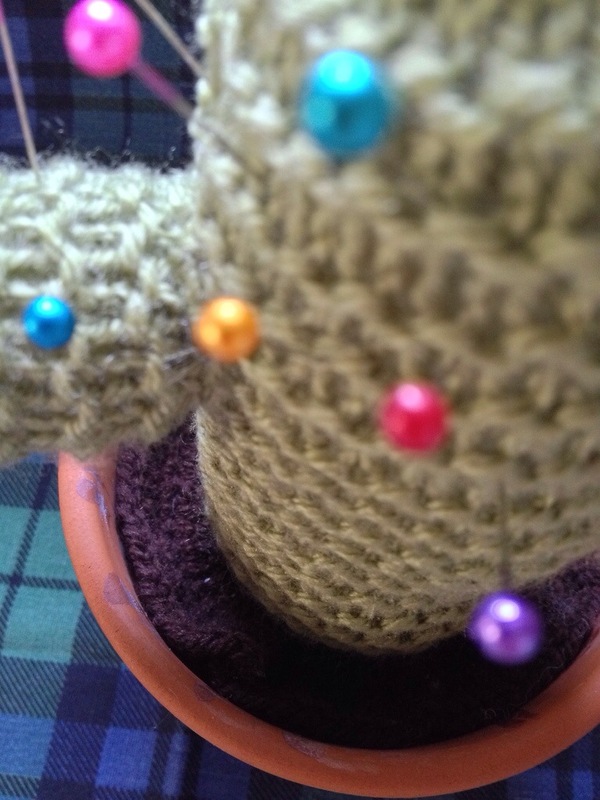 Sew the arm onto the body of the cactus and then sew the cactus onto the earth circle (sounds New Age?!) Use superglue with care, sticking the sides of the earth circle to the pot. 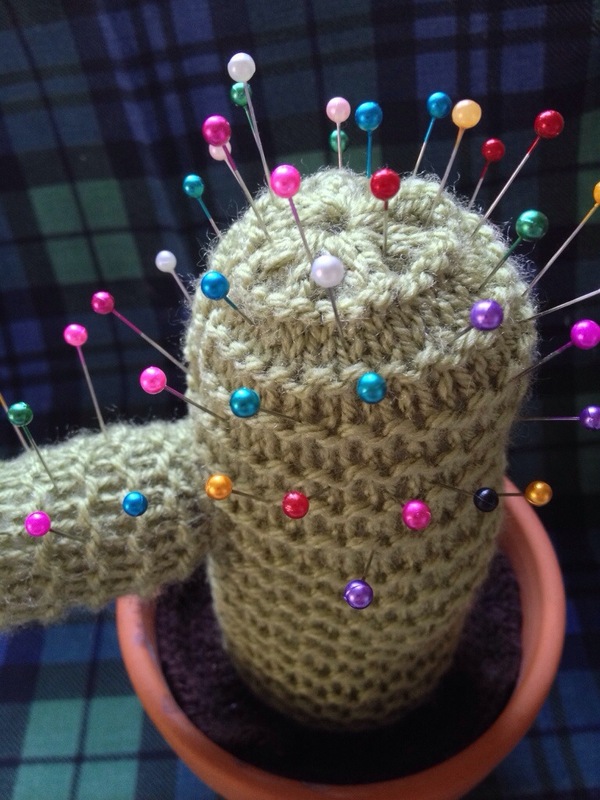 Stab the cactus with an assortment of pins and darning needles until it’s suitably spiky. 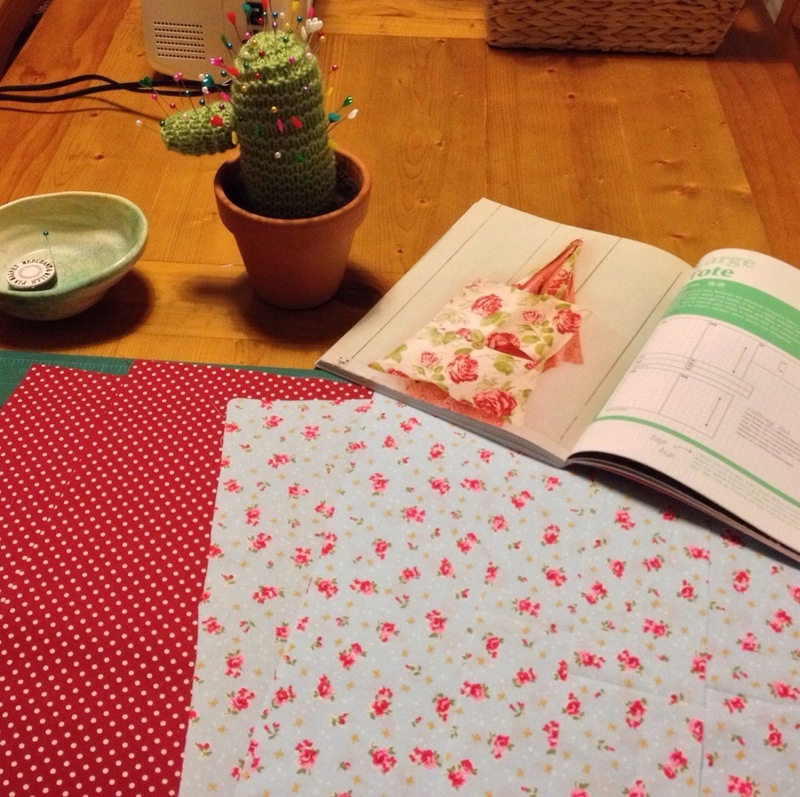 Here it is in use last night as I began preparing to sew a Cath Kidson pattern – a large tote bag. It’s an anniversary today – 2 years of The Little Room of Rachell. How time flies! When I look back I’m amazed at how much I’ve made, with lots of learning curves. I really didn’t think I’d still be blogging beyond learning to crochet, which was my goal for the New Year of 2012, but it’s been fun making crafty connections with others and sharing what I’m up to online diary style. So I carried on day by day, week by week without a plan. I just looked at my stats and this is my 305th post! Admittedly I’m rarely short of something to say, both here and in real life! Thank you for reading, especially if you’re part of the little band of followers who’ve been here since the beginning. And thank you for leaving so many great comments (2,374!) I always really appreciate it when you stop to type your thoughts, or respond positively to a post. As many of you know I often reply with an email, it’s been fab batting chatty messages back and forth. The blog’s definitely evolved and is not solely crochet focused anymore. This year I’ve been dabbling in all sorts of crafts, although crochet is still a big part of how I spend my spare time. I joined a knitting group in the Autumn and find it far easier to crochet while I chat and get to know the group. I don’t have to look at what I’m doing all the time, and I always take something simple like the huge Granny Squares so there’s no counting or complicated pattern to follow. Several of the group are also both crocheters and knitters which is cool. I have to say that it’s nice to watch someone else also wave a hook and a glass of wine around! Love your cactus design – so cute and prickly. Happy new year and heres to a great year of crafting ahead! Happy 2nd Anniversary to your blog . Loving the cheeky cactus ! 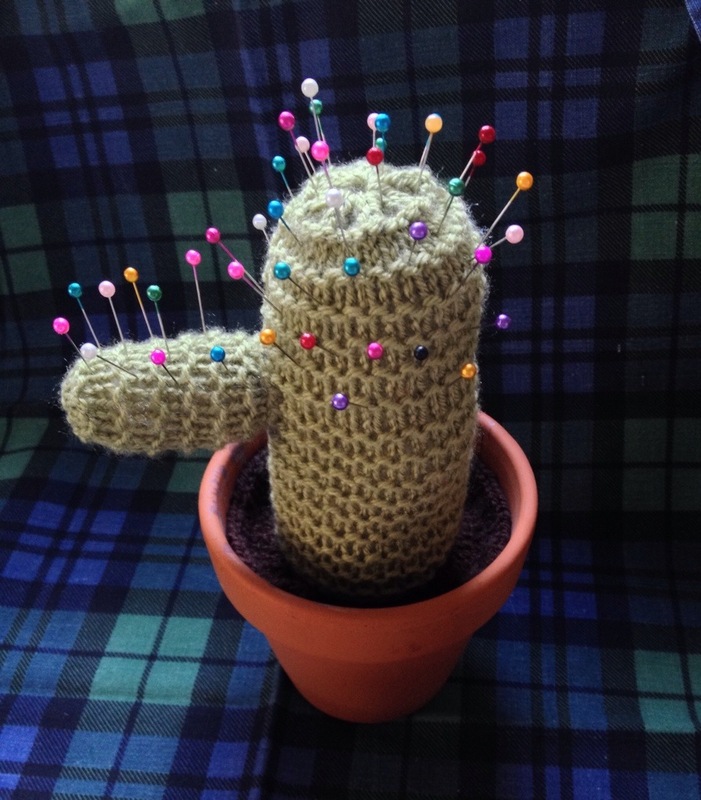 Oh that’s a great idea for a pin cushion!! Happy anniversary for your blog. 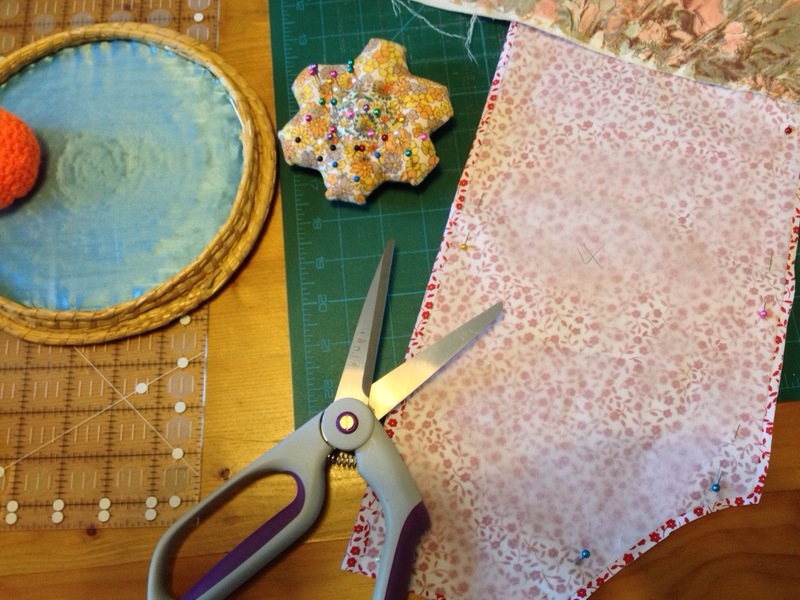 Such a lovely little pin cushion you made. I bet it will brighten all your projects.